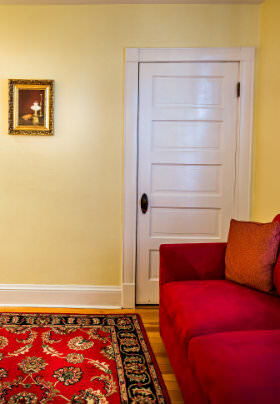 A spacious Heritage House guest room with a private sitting area; possible shared bath with Pansy Room. 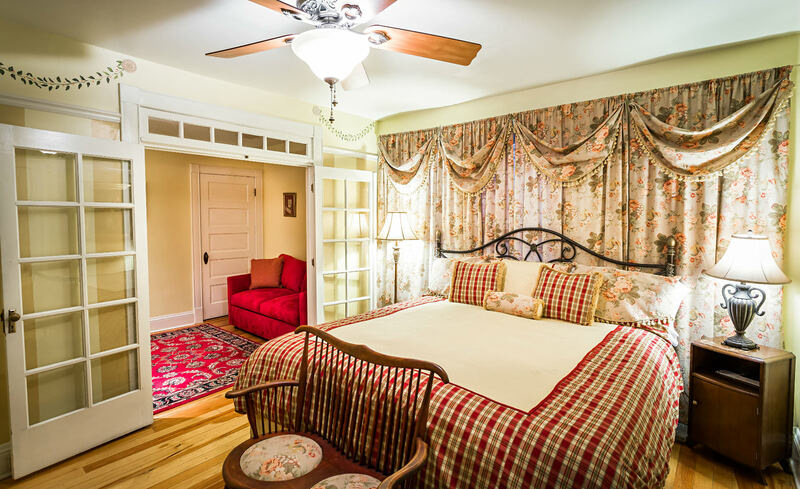 The Rose Room is a king-size suite, decorated in a bright yellow stripe, and full of family heirlooms. The sitting room has a full-size sleeper sofa. 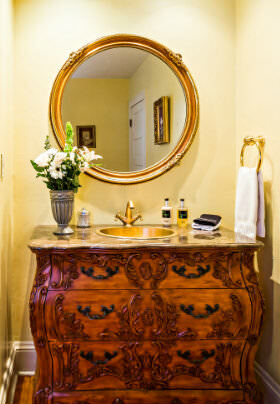 Guests of both the Rose Room and the Pansy Room share the bath right across the hall, but each suite has its very own sink in a beautiful Victorian vanity. Every piece of the bedding and drapery in this room has been custom-made from a rose fabric that served as the inspiration for the room.